This is a very simple Sponge cake recipe and you probably have all the ingredients already in your pantry. I usually use this for making other delicious cake Mango Cake, Yema Cake and Strawberries & Cream Cake but it is also perfect on its own with some jam for a coffee and tea time. 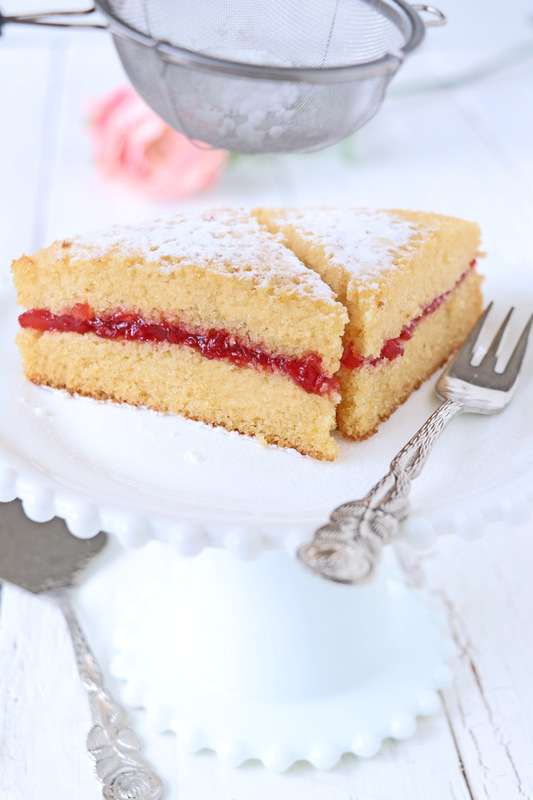 For a simple coffee or tea time cake, just cut it in the middle and spread (Raspberry) jam in between the layers and if you like, add some whipped cream as they did in the early years like Queen Victoria liked them, hence, the name Victoria Sandwich or Victoria Sponge. There are various Sponge Cake recipes out there and each one uses different ways and techniques to achieve that spongy texture. Others do not add butter to their sponge cakes, but I personally prefer it with. For a long time, when I was just starting to learn about baking and had little knowledge about the difference between sponge, chiffon and butter cake, I used a recipe that was really buttery and it is lovely. However, as I learned more about baking and already got some cake baking experience under my belt, I realized that the recipe I was using is closer to a butter cake than to a sponge cake because of the amount of butter it uses. It also involves a different method that is quite easy too, it does not use the foam cake method, wherein eggwhites are beaten separately into a meringue and later folded into the batter. It is good and I really love it so does Armin and many of my friends. They would always comment on how moist and deliciously buttery it is…BUT it is not a sponge cake. Sponge cakes are airy, fluffy or pillowy. Using a lot of butter, though delicious, hinders the rising of a sponge cake and makes it denser. To grease or not to grease your pans? 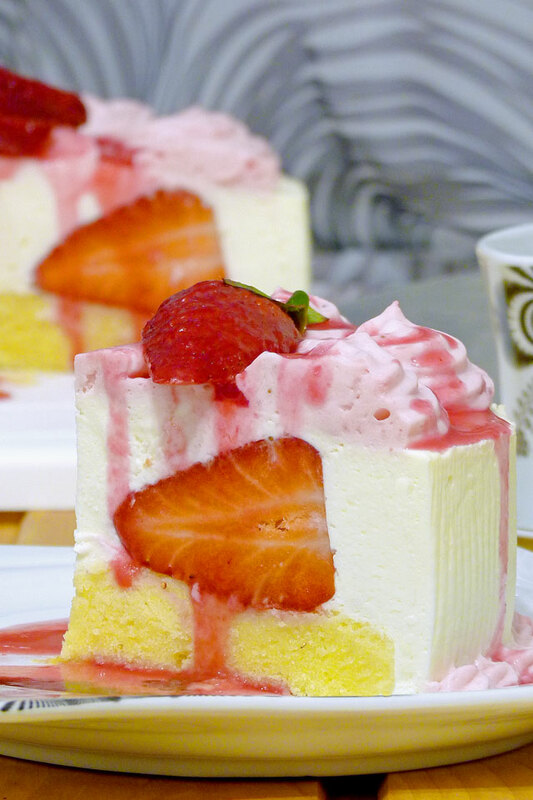 For foam cakes like Angel food cake, chiffon cake, and this Sponge cake recipe, you do not grease and flour your pans. The reason is, foam cake batters need a surface to grip for them to rise better, greasing the sides of the pan will prevent them to rise to their maximum height and will most probably result into a dome-shaped cake. 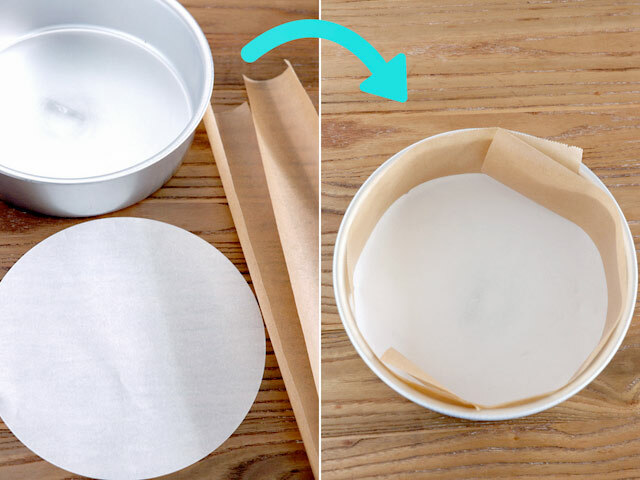 Cut a parchment paper into a circle the same size in diameter as your pan. I bought and use these pre-cut 8-inch baking paper liner made for round cake pans, they are cheap and saves me time. Cut a strip or two of parchment paper that is long and high enough to cover the sides of the pan. Line both the bottom and the sides of the pan. If the paper won’t stand or stick to the sides, dot a little amount of batter to the back of parchment paper to glue it to the pan. Like I mentioned before this Sponge Cake recipe uses the foam cake method. This means we will have to make a meringue first to be added at the last part before baking. 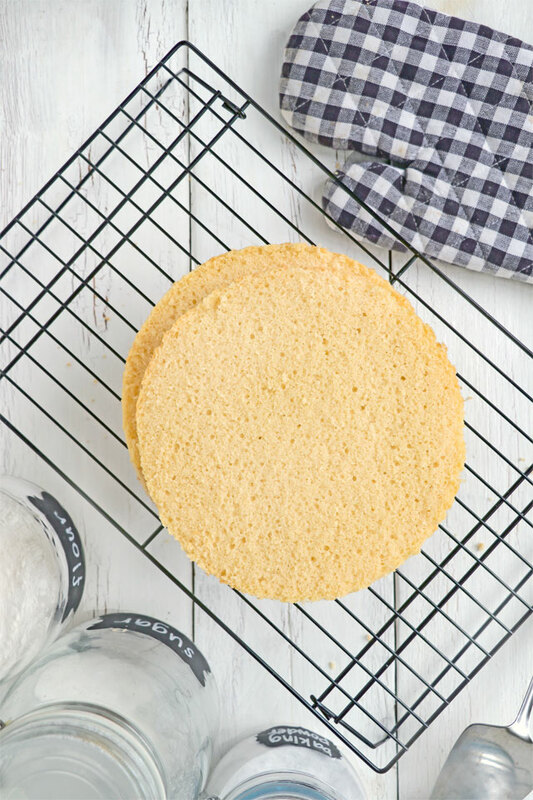 Using this method will give you a fluffier, softer and taller sponge cake. Use egg whites that are at room temperature as they to create more volume. It is easier to separate yolks from whites if eggs are cold (from the fridge) but wait until the whites are at room temperature before using them. I only use metal or glass bowls for mixing. Plastic bowls could absorb fat and grease that can prevent or reduce the volume when beating the whites. Make sure your bowl and beaters are dry and clean. A speck of grease of fat or even a smear of yolk in the whites as this can cause your meringue to deflate. Do not beat the whites at high-speed. Use only low to medium speed until you reach soft peaks stage and increase speed to medium-high until stiff peaks form. Using high speed may fasten the work but it also incorporates more air and creates larger bubbles that tend to deflate the meringue during or after baking. If using cream of tartar, add this when you reach the frothy or foamy stage. Add the sugar once you have the soft peak stage. 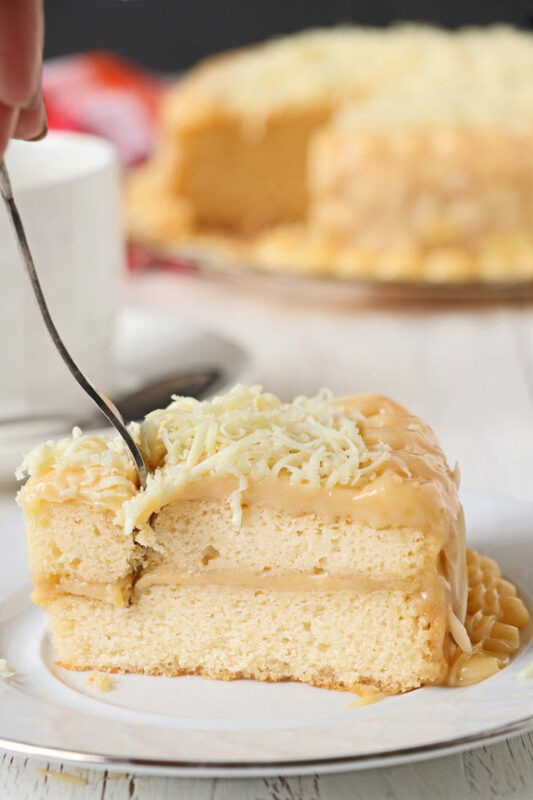 I also wrote a recipe guest post about Yema Cake at Kawaling Pinoy. For those asking for it, do check it out. This is a very simple Sponge cake recipe and you probably have all the ingredients already in sponge cake your pantry. I usually use this for making Mango Cake, Yema Cake, Strawberries and Cream Cake but is also perfect on its own with your favorite jam for coffee or tea time. Line the bottom and side of an 8 inch round pan with parchment paper and preheat oven to 400°F or 200°C. In a bowl, beat the egg whites using a mixer at low speed for 2 to 3 minutes or until soft peaks form. Gradually add 1/4 cup of the granulated sugar, a tablespoon at a time, while continuously beating. Once all sugar is added, turn up the speed to medium and continue beating the meringue until it forms stiff glossy peaks. Set aside. In a separate bowl, cream the butter and remaining sugar for 3 minutes or until light in color. Add the yolks one at a time while continuously mixing for about 2 minutes. Add milk, flour, baking powder, and vanilla extract and beat for about 2 minutes or until batter is smooth. Using a spatula or big spoon, gently fold in about a third of the meringue into the egg yolk mixture until well combined. Add the remaining meringue and fold it in gently, scraping the spatula from the bottom to catch any pockets of egg yolk-batter. 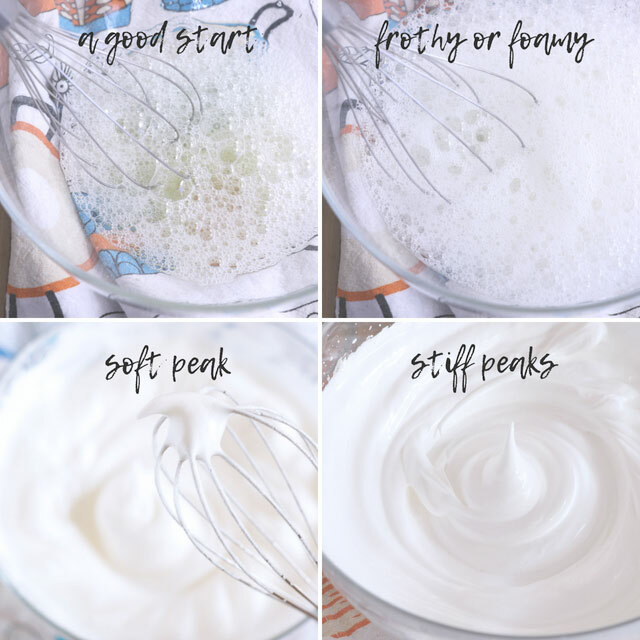 Stop mixing when no streaks of meringue are visible. Do not over-mix or you will deflate the batter. Pour the batter into the prepared pan. Tap the pan on a flat surface several times to make sure that trapped air bubbles are released. Bake for 30 minutes in the preheated oven or until a toothpick inserted in the center comes out clean. 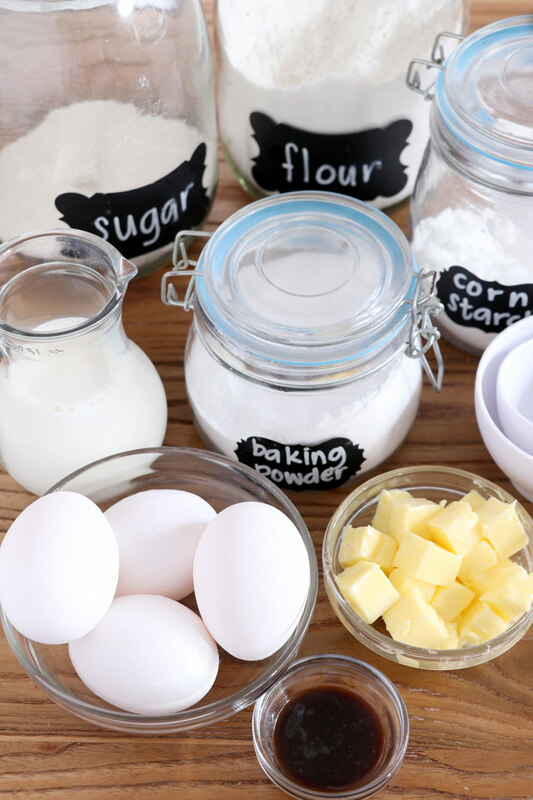 You may also use cake flour instead of all-purpose flour for a finer texture. Hi, Bebs! I made this recipe yesterday for Yema Cake that my kids requested & followed it to a T but the cake didn’t rise much & after I have taken it out from the oven, it just deflated. Hi Dee, here are some of the things that might help prevent your sponge cake from deflating. Try to beat the egg whites at low speed to avoid big bubbles from forming. Do not open the oven door before the cake has set. Try to reduce the baking powder to 1 or 1 1/2 teaspoon. Try not to overmix the batter especially once the meringue has been folded in with the egg yolk mixture. Do not let the batter sit too long before baking. If your kitchen is cold, let the baked cake stay in the oven after baking. Cooling the cake too quickly can also cause it to deflate. 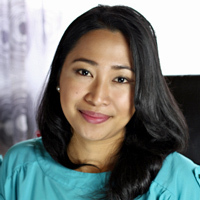 Hi Ms. Bebs.. pwede po ba itong i-steam..? Tnx..
Hi Catherine, sponge cakes are supposed to be dry so I am not sure if you can steam it. If you do then I think it will be more similar to puto, which is not bad, only different. Found the perfect recipe for a vanilla cake! Thank you so much. I tried many recipes before this, modified a bit since I wanted to aim a moist and fluffy texture but they turn out to be epic fails. 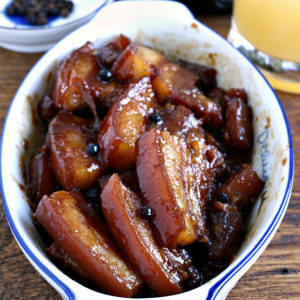 The simplicity of this recipe made me want to try it out. I was so happy that it turned out the way I always wanted my vanilla cake to be.. moist and soft. 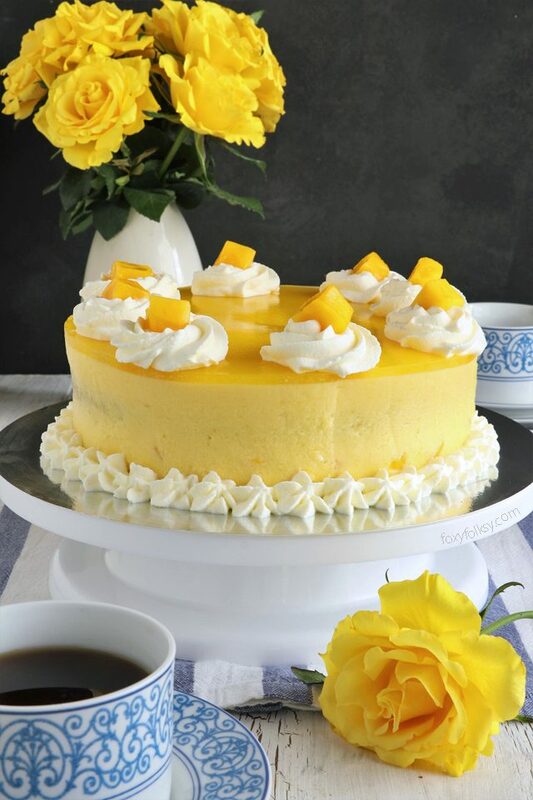 Hi Bebs, your mango cake really looks scrumptious! I would to try it but I couldn’t find your sponge cake recipe ? Hi Mary Claire, this is the post of the Sponge Cake recipe and at the bottom of the article is the recipe. I hope you like it Erica, do let me know how it goes! ? ok I will but be prepared for super sucky pics because my cel pics are the worst!!! Happy summer! Haha… you should have seen my photos when I started this blog 4 years ago. There are still some left but trying to replace them one by one…? Yikes! 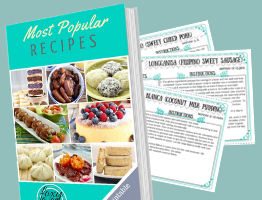 I am sure it was included before since I followed this same recipe several times in the past. It must have been omitted by mistake when I did an edit. So sorry about your cake, Louise, and thanks for bringing it to my attention so I was able to correct it! ???? Hi! I forgot to put the butter! What will happen to my cake? Thank you!! !